U.S. Senate Democrats included microgrids in the $1 trillion infrastructure blueprint that they proposed yesterday to create 15 million jobs over the next decade. “I’m here to talk about energy infrastructure investments, which…will help save consumers money, grow our economy and create jobs. We are talking about things like transmission lines, grid modernization, grid storage, microgrid investments and the all-important cybersecurity investments,” said U.S. Senator Maria Cantwell, ranking member of the Energy and Natural Resources Committee, during a news conference. Called Blueprint to Rebuild America’s Infrastructure, the Senate Democrat’s plan calls for $100 billion to modernize energy infrastructure. Other parts of the proposal also would fund roads, bridges, rail, hospitals, schools, ports, waterways, water and sewer infrastructure and broadband. Hundreds of avoidable power failures occur each year, costing the U.S. economy between $25 and $70 billion annually, according to the blueprint. Microgrids keep the power flowing to their customers during power outages by islanding away from trouble on the grid and employing on-site energy. 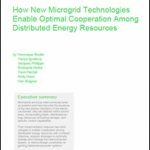 When the grid is functioning normally, microgrids supply services to strengthen its operations and lower costs. “Incredibly, the World Economic Forum ranks our electric grid at 24th in the world in terms of reliability, just behind Barbados,” said the report. Part of the problem is a tax incentive system that is overly complex, with 44 different incentives now in place for alternative energy, according to the report. “More than half are too short-term, while others are targeted to niche technologies, impeding certainty and undermining the ability to stimulate significant, long-term investment in new energy technologies and the infrastructure necessary to support them,” the blueprint said. Senate Democrats instead are pushing for a permanent incentive, sized according to a technology’s ability to save energy or provide clean energy. The incentive would apply to electricity generation, transportation fuels, and energy efficiency improvements. “With this new certainty in the tax code, large investments to support next generation energy infrastructure will be viable, supporting new energy opportunities that will increase efficiency, protect the environment and bring down consumer costs,” the blueprint said. Senate Democrats expect the energy investments to result in 1.3 million new jobs. The idea of including microgrids in the $1 trillion infrastructure blueprint won praise from Rob Thornton, president & CEO of the International District Energy Association (IDEA), which includes the Microgrid Resources Coalition (MRC). “IDEA is pleased that both the Senate and the Administration recognize the importance of investing in infrastructure to stimulate job growth and support key segments of the US economy, including critical energy infrastructure in cities, communities and campuses,” he said. 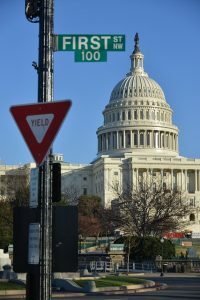 IDEA and MRC advocated for microgrids, combined heat and power (CHP) and district energy at a Senate briefing on Capitol Hill in early December. By way of example, he described the Boston area’s Veolia Kendall Station Green Steam CHP project, which he said generated over $21 million in direct labor investment in high quality jobs for pipe fitters, construction, electrical and other trades while producing significant energy and environmental community benefits. Want to learn more about microgrids and see firsthand how cities like Boston create jobs and energy resiliency? Attend the Microgrid 2017 Conference and Exposition in Boston, November 6-8. 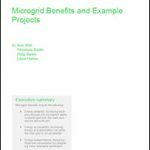 While I appreciate all the great work the IDEA does to promote the concept of microgrids, not enough is done to promote the concept at the city block level. We have both the technology and know how to dramatically reduce grid load by deep energy retrofits of existing buildings and a return to direct current (DC). Given the solar PV and battery storage utilize DC and any appliance utilizing electronics, requires at some point D.C., the sooner we return to an all D.C. building infrastructure the better. Going a step further, imagine a city block of say 30 Energy + homes, all linked via a D.C. Microgrid with one access point to the Big Grid. All but one of today’s inverters would be eliminated and the residual power in each residence could be aggregated and provided to the big grid in the form of ancillary services. To my mind, this configuration can serve as the core unit in the re archeticting of the utility grid, just what Elon is aiming for.